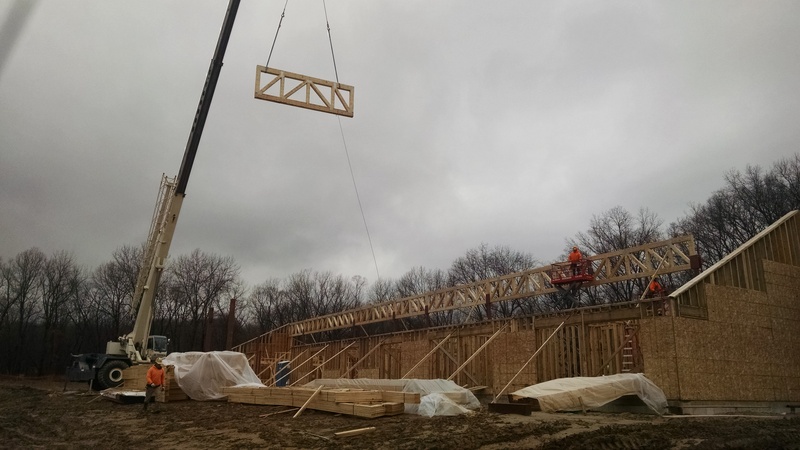 The trusses of Amazing Space are going up. 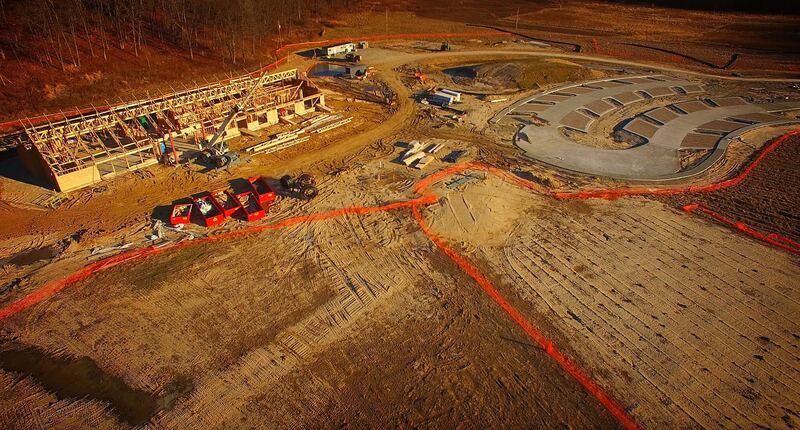 Not only does that move us closer to being enclosed before cold weather, but it is a visible reminder that the environmental impacts of this project extend far beyond the building itself. 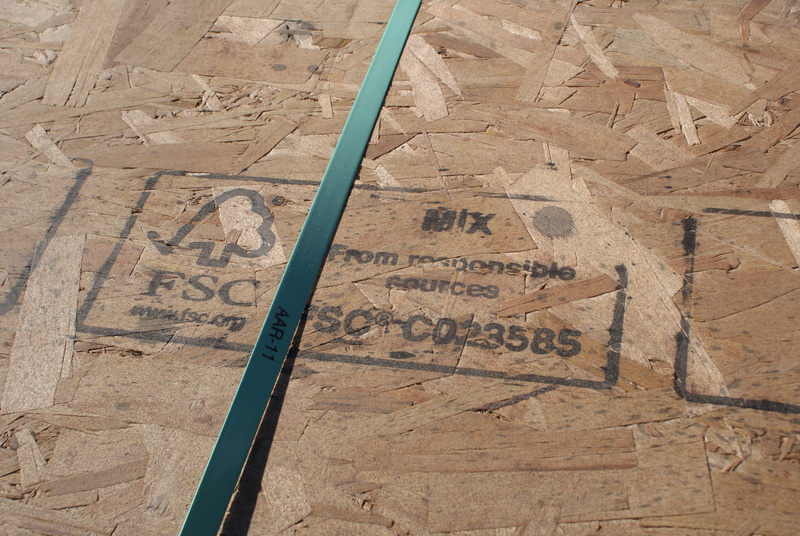 Each beam and board purchased for the project meets high environmental, sustainable, and socially responsible standards set by the Forest Stewardship Council. Once upon a time, the forests of the United States were clear cut for their lumber. Even before the invention of the chainsaw, companies would cut all of the trees out of an area and then move on to the next area. Ecological communities were devastated and mudslides were common. Modern equipment accelerated both the speed of the destruction and the areas that could be reached for logging. The old growth forests are essentially gone across the United States. Old growth forests are disappearing worldwide as developing countries cut and burn their forests to provide a place to grow annual agriculture crops or graze cattle, or cut their trees for milling without replanting. The Forest Stewardship Council was founded in 1993 to provide a set of voluntary standards for timber companies to follow. This allowed consumers purchasing the wood to make an informed choice in how their lumber is produced, and created the market for sustainable wood. 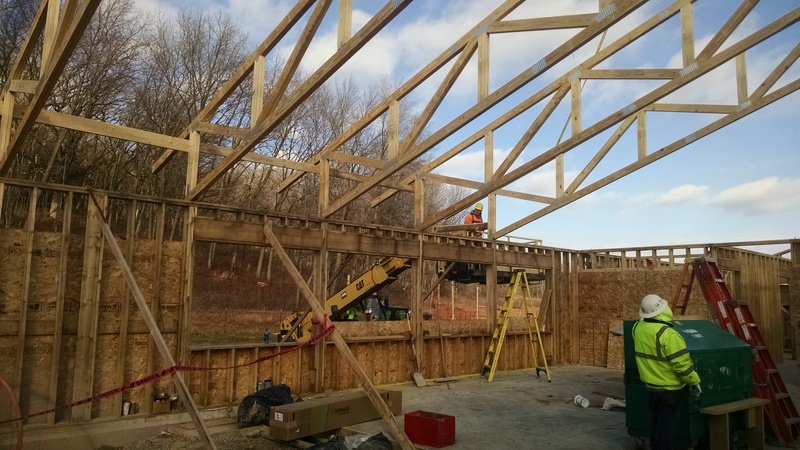 When we made the decision to only purchase FSC wood, a requirement set by the Living Building Challenge, we were concerned about what that would cost. We were pleasantly surprised that the premium for sustainably harvested, certified lumber products has dropped significantly, and even with a wood frame building, quite affordable. What was more challenging was finding suppliers of FSC wood and FSC wood products. There is high demand for certified products, and most of the timber industry in the United States now practices some level of sustainable harvesting, as part of a sound business model. Replanting trees, for example, ensures a future for the industry. There are 10 principles that must be met to receive the Forest Stewardship Council certification, ranging from protecting the rights of indigenous people to monitoring forests and replanting efforts over the long-term. The principles create a comprehensive, holistic approach to sustainably incorporate wood products into our lives. Principle #4: Community Relations and Worker’s Rights – Forest management operations shall maintain or enhance the long-term social and economic well-being of forest workers and local communities. Principle #5: Benefits From the Forest: Forest management operations shall encourage the efficient use of the forest’s multiple products and services to ensure economic viability and a wide range of environmental and social benefits. Principle #6: Environmental Impact: Forest management shall conserve biological diversity and its associated values, water resources, soils, and unique and fragile ecosystems and landscapes, and, by so doing, maintain the ecological functions and the integrity of the forest.